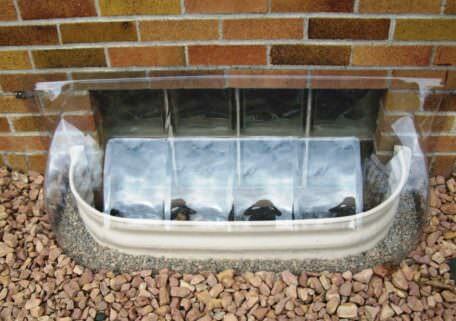 Sloped Window Well Covers - our best seller! 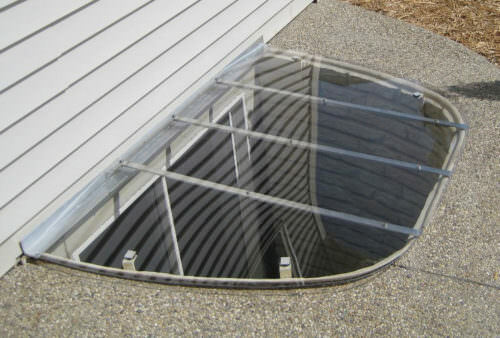 Custom designed to fit any shape, size, and type of window well this polycarbonate window well cover by Window Well Experts provides the protection you need from the elements. 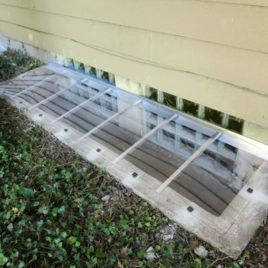 Our Sloped Style window well covers are made to shed water away from your home, and rain or a rinse with your garden hose washes the dirt and debris away, leaving them clean and clear. 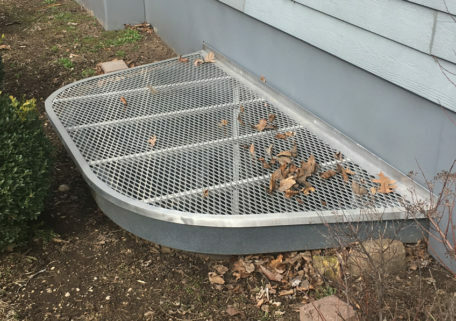 Sloped Window Well Covers are made from unbreakable Polycarbonate that is lightweight, allows the maximum amount of light into your basement, and allows easy egress in case of emergency. 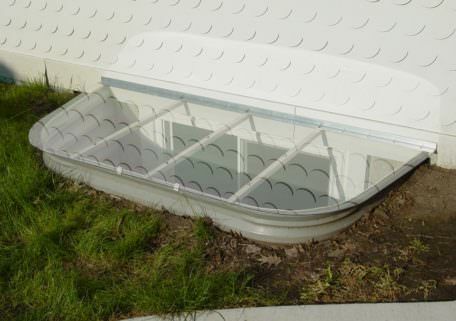 With its clamshell design, it is self-cleaning—sheds water and debris away from your home. 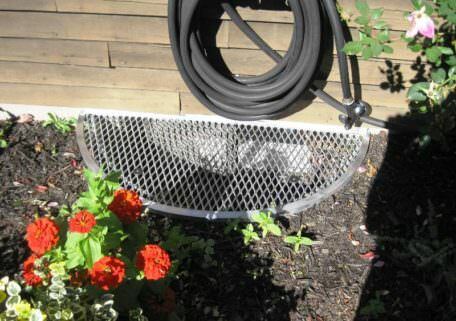 Keeps snow and rain, dirt, yard debris and animals out of your window well. 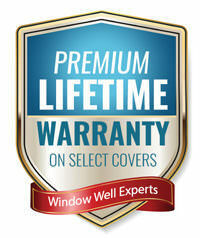 Find out more information on our Lifetime Warranty by clicking here. Just got my cover. Very easy to install. The sloped design looks great & fits my well like a glove! Just sent pics of the larger well. Thanks again, Window Well Experts, for all your help. They look great, very pleased. Thought I would share a great looking cover with all of you. Nicely done! Best covers ever! They keep my grandson and his toys from falling into the window wells. Nothing like these covers are available in the big box stores. I could not find anything that could stop me from getting melted snow in my basement or from heavy rains. 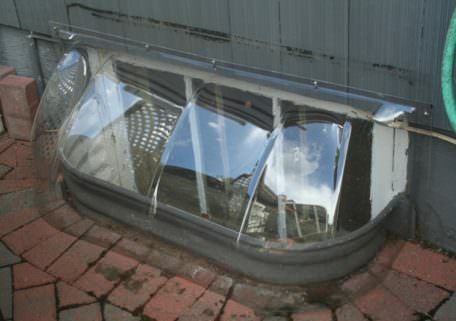 This custom fitted window well was easy to order thanks to clear measuring instructions from you. Thank you, problem solved. Immediately made a difference with the moisture under my home! Kathy and Molly were excellent to work with. Both were very knowledgeable and helpful. I highly recommend them. After pricing our other companies I found them to be the most cost effective for my custom covers. So glad I find them. Great existence from beginning to end. The product is very good quality. I am so pleased with that one window cover that I will be measuring the other three in order to place an order. It is so neat and clean and well made– I’m impressed! What a difference from those cheap plastic ones that break, split, chip and crack…. I purchased new ones at least three times! It just took me a “procrastination period” before I actually told myself (old lady, you get out there and do it!!!). It is beautiful. Totally professional experience. I am a new homeowner so my handyman skills are very limited. Bob and whole staff guided me in measuring (and re-measuring) and purchasing 3 sloped covers. Installation instructions were very clear and unbelievably simple. Very good quality product with strong steel stabilizer bar. 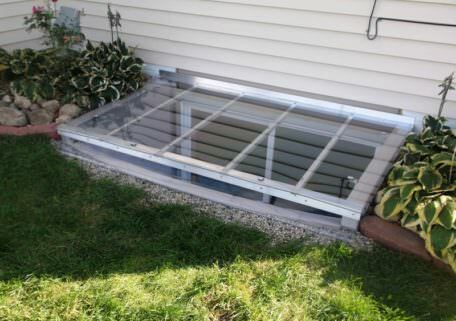 Customer service personnel were very helpful in making sure everything was right with my window wells, and covers. Very easy to order and excellent service. We had a great experience with WWE! Easy to work with, the window covers were easy to assemble and they look great! 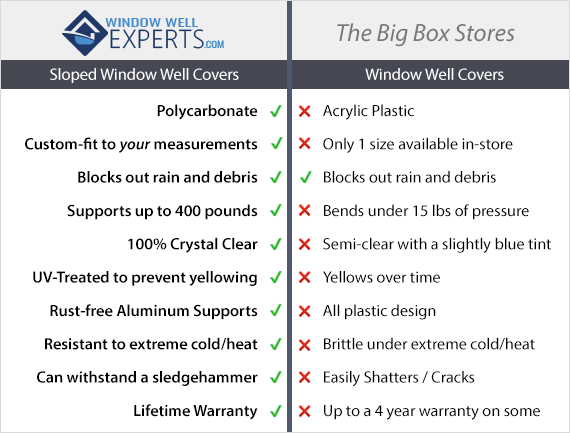 We had a very good experience dealing with the staff to find the best product and the proper fit for the unusual design of our window well. We are very pleased with the end product. Very professional people to work with. 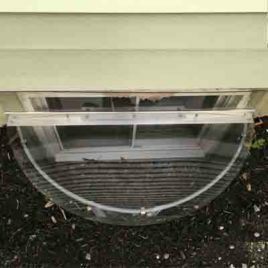 The covers are a perfect fit and an attractive solution to the age-old problem of leaves and debris accumulating in the window wells. Good product. You get what you pay for. Very thorough & insistent with design criteria. 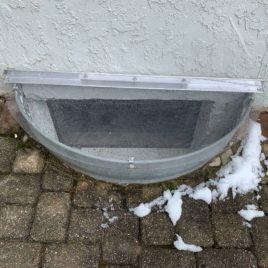 I am satisfied with the fit of the window well cover and I wanted a couple inches overhang, which is great, but had to improvise a little to fasten it to the cement because the hinges hang over a bit too and could not get screws in the cement. So I made a clamp to put screws through to hold the hinge in place. I am satisfied with the covers and are very nice looking and will do the job. Had great help on everything. If needed would order again. Would highly recommend.